Angela has been working in the dental industry since she was 17 years old. She started as a dental nurse and then moved on to reception before becoming a practice manager. Angela is married to Geoff and they have two children, Hannah and Adam, as well as their dog Marley. 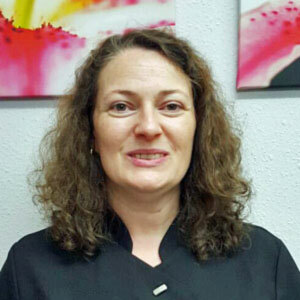 She joined the Beaconsfield Dental Practice in November 2015. Outside of work, Angela enjoys walking, reading, taking holidays and socialising with her friends and family.